Working with shippers and carriers, we are modernizing one of America's most vital industries. At the end of 2014, our founders-Catalina, Gustavo, and Fernando-started the conversation about putting their 55 years of combined experience to work. With their expertise in freight brokerage, technology, and consulting, they knew that the current state of ground transportation wasn't ideal for anyone except the middle-man. The system that had existed for decades was weighted down with inefficiency and held back by old technology. They decided that the industry that moves America deserved a better future. Out of this decision came Cargobot. 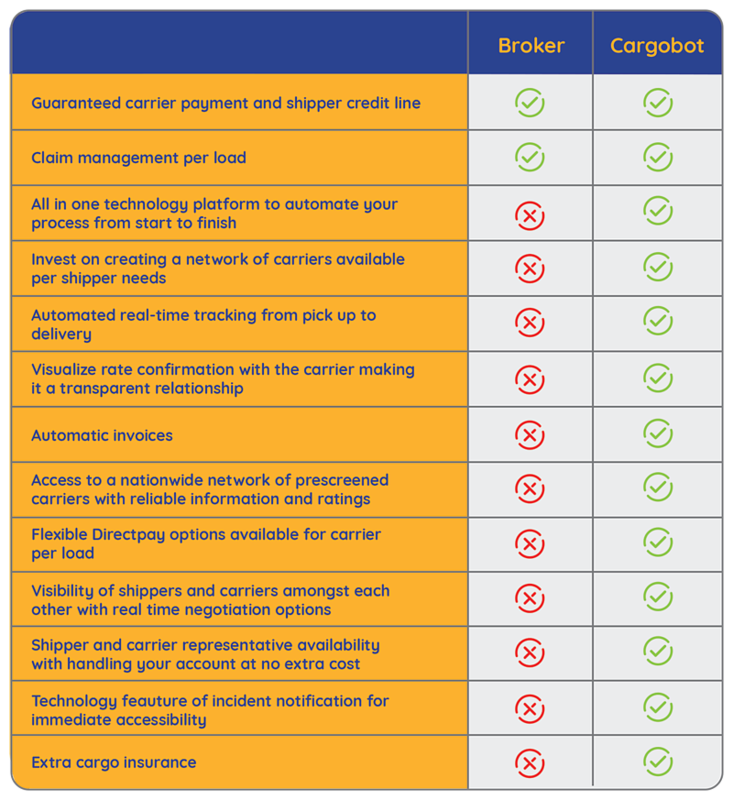 Founded in 2016, Cargobot is an innovative, reliable, and transparent technology platform for shippers and carriers. This platform and its members are changing the future of the freight industry. 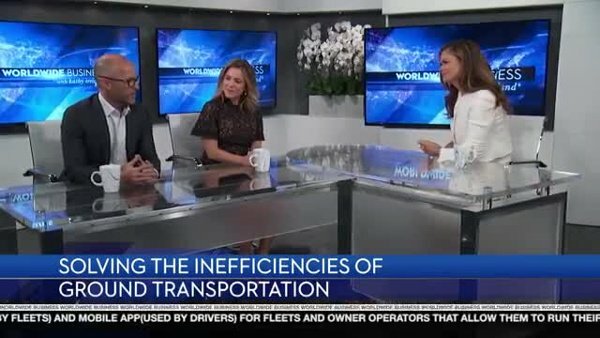 Two of our founders, Fernando and Catalina, discuss Cargobot's history and purpose with Kathy Ireland. Customer service you can trust. All accounts are assigned a dedicated customer service representative. Representatives are available 24/7. And, because we want to meet your needs, we’re happy to match you with a bilingual representative. The Transparent Truck Transportation Network. 3TNs specialize in providing shippers access to a nationwide network of carriers for their transportation needs. Cargobot takes this philosophy a step further and includes value-added services such as back-office load tracking, extra cargo insurance, and a dedicated customer service team. Directbid is Cargobot’s proprietary bidding tool. With this feature, carriers set rates, so shippers can decide if the offer is a fit. Directbid facilitates transparent WIN-WIN negotiations. operations, finance, and customer service departments. Experienced Chief Executive Officer with a 20-year history of working in consulting serivices. Our co-founder with 15 years of experience in the freight brokerage industry. Serial entrepreneur focused on information technology. Advisor and founder of four tech companies and several research centers. Analyzing and applying the best strategies in order to create a sustainable business. A dynamic marketing executive making the plan to share Cargobot with the world. A dynamic senior-level operations and supply chain leader with over 20 years experience. Software projects senior analyst and team development manager. Progressive creative, idea miner, data evangelist, and US Hispanic marketing expert. Creating new ways to manage teams, human resource, and leadership. Experienced financial leader and analyst, with a passion for entrepreneurship.